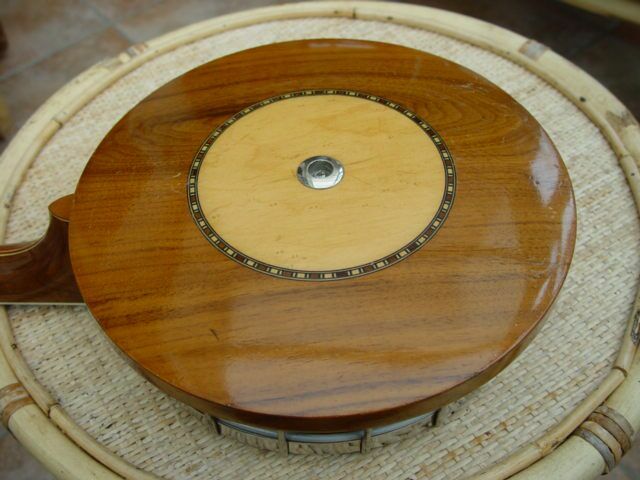 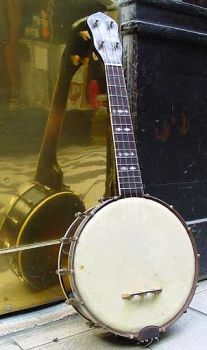 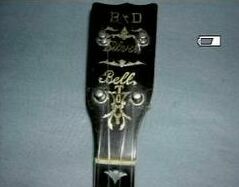 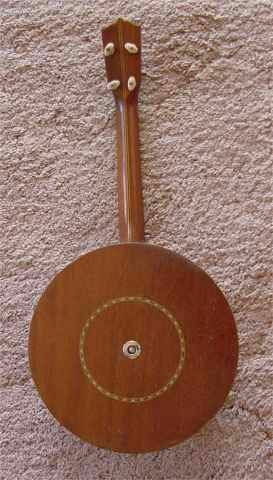 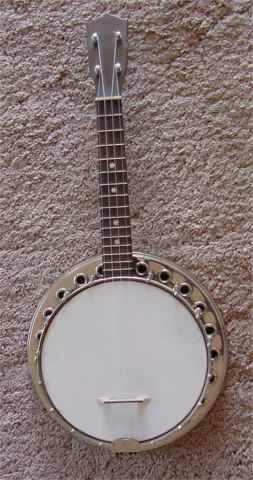 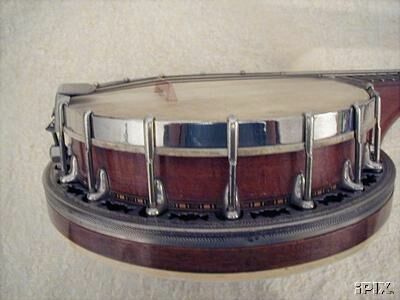 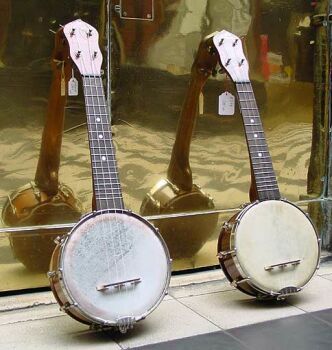 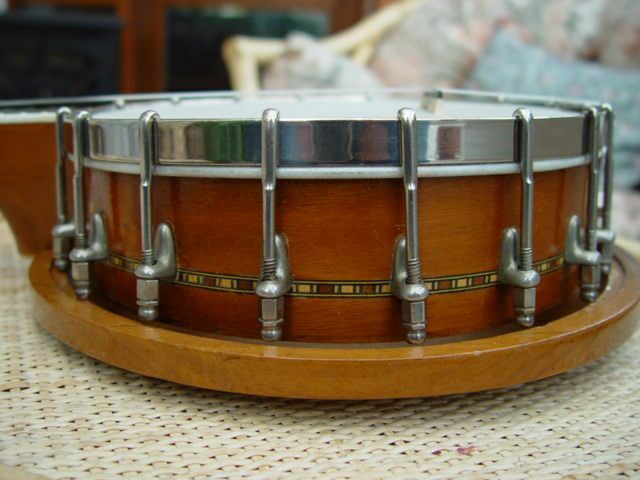 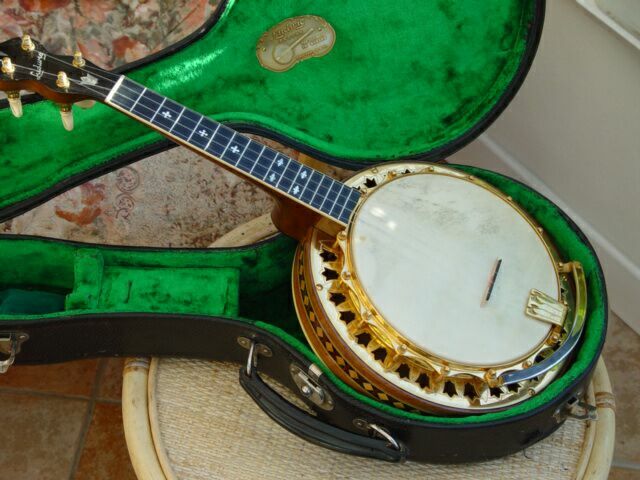 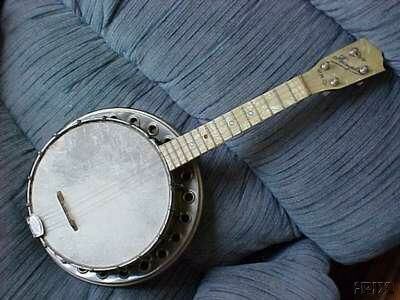 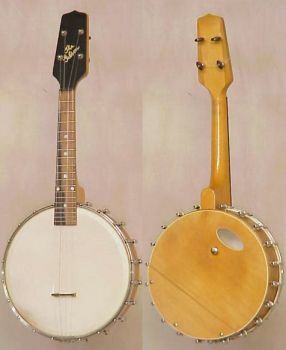 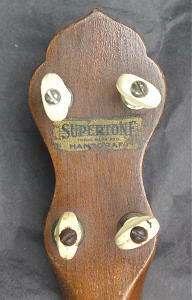 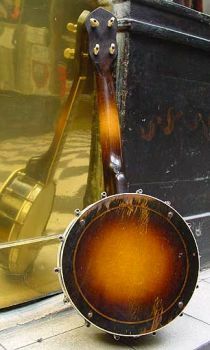 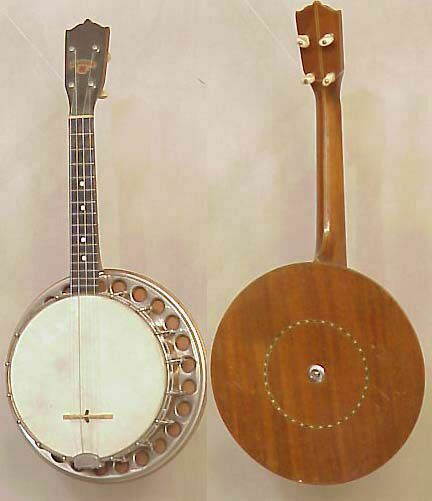 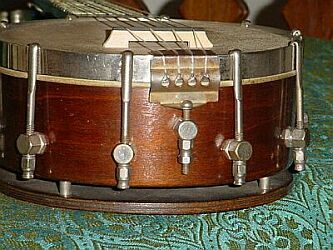 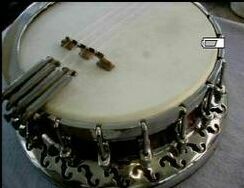 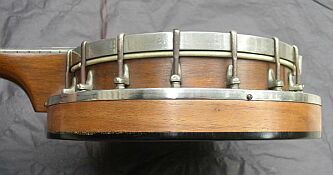 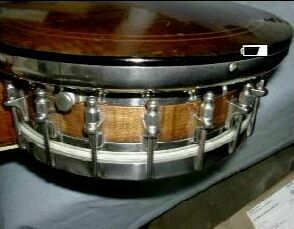 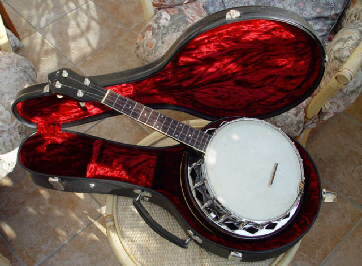 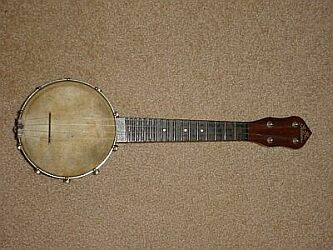 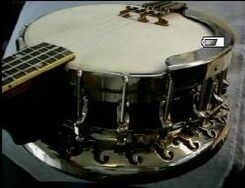 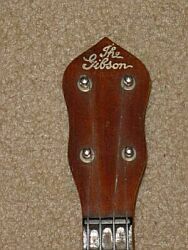 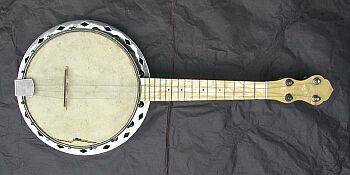 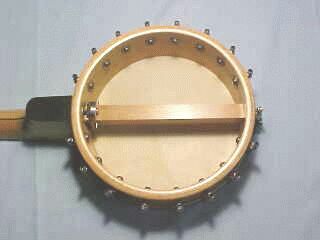 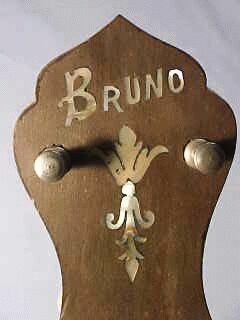 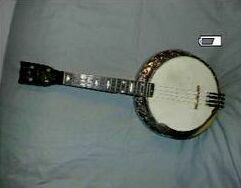 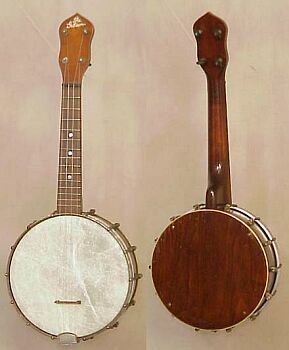 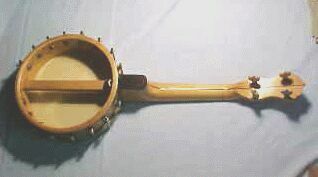 The photos of this fine example of the Ludwig banjo-uke are used through the courtesy of John Croft, The Ukulele Man. 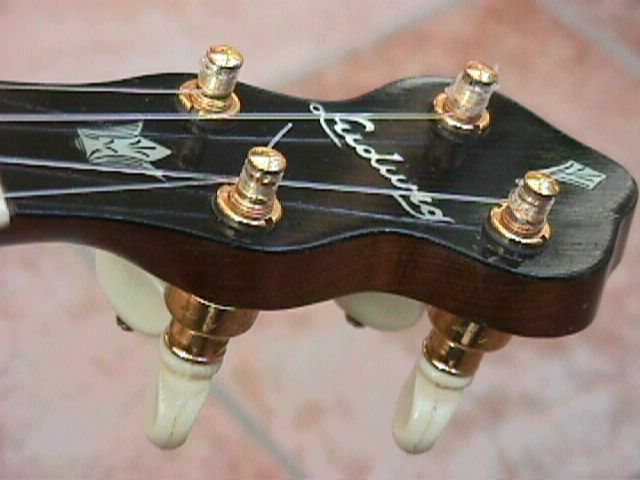 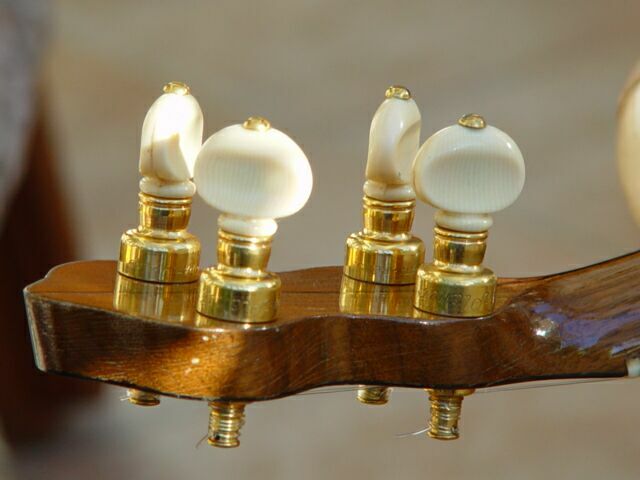 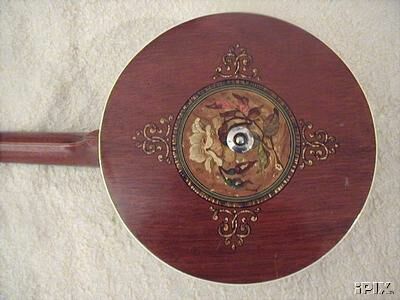 Please visit his fine website by clicking on the photos below for more on Ludwig instruments as well as a wealth of information on ukuleles in general... You'll be glad you did! 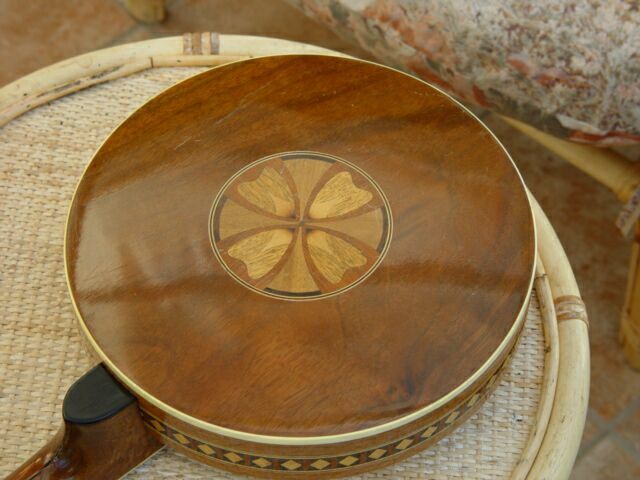 maddog's newly completed "bluegrass uke"
"this may be a favilla mando pot...it has the rounded neck indent identical to the pix on favilla page one, but Tom couldn't verify for sure...da marquetry is almost 1/8" thick.....todays stuff is usualy 1/32". 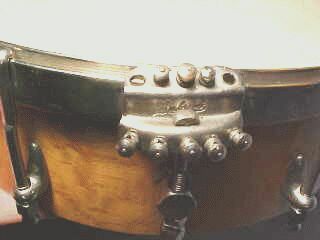 i didn't want to replate da hardware as i like keeping da funk as it was. 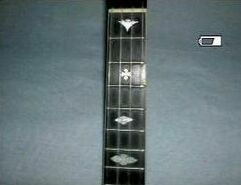 i went with the G tuning because driving it up to C tuning really sinks da bridge low enough to lower the strings to lay on da first fret and i thought the goatskin would rip. 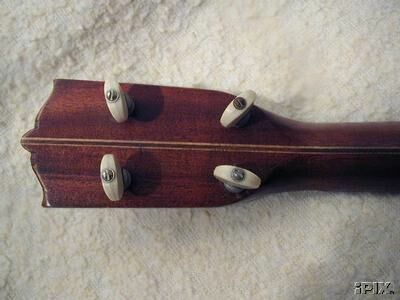 it took 6' of birdseye to get da good stuffs for da neck, the snakewood is waaaay spendy and really really hard to work, and as usual, carbon re-enforced neck and dowel-stick. 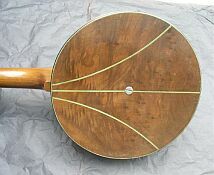 the tailpeice is a Price straight line i modified. 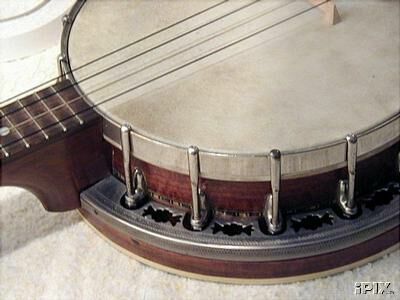 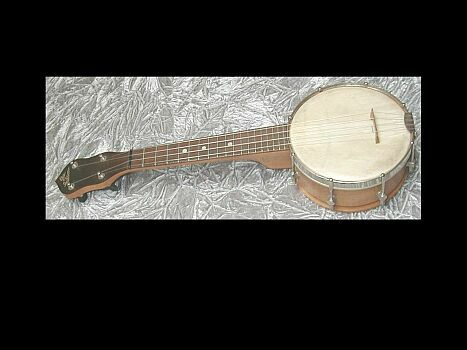 da biggest, most wunnnerful thing is da SOUND.....the wood archtop-goatskin-ukestring combo give it a wonderfull mellow thing that even banjo-haters will love."